Bangladesh Bank Written Exam Result 2019 Has Been Found in my Website BD Jobs Careers to download it and See Your Result. This Result for Assistant Programmer Post. 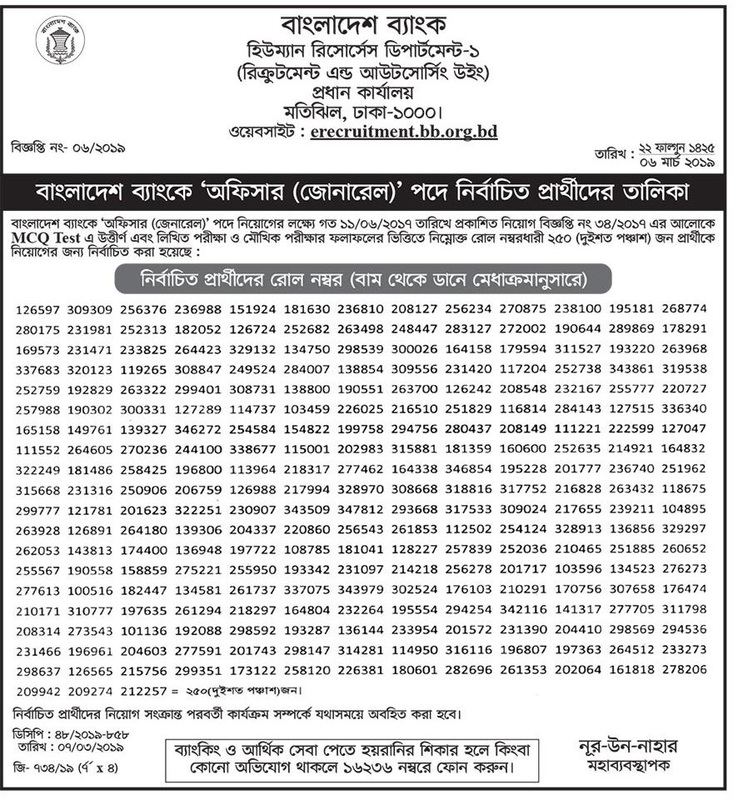 If you attend this exam, you can see below, hopefully you will be see your result, For your information The Bangladesh Bank Job Result 2019 and Krishi Bank Admit Card Downloadable System will be accessible here very shortly. 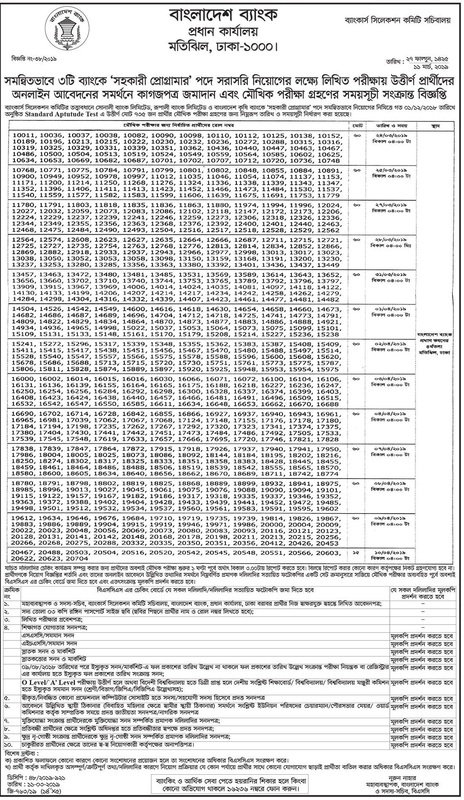 When published any jobs circular, result, admit card to visit our website at www.bdjobscareers.com ,hopefully you will all of update with easily. 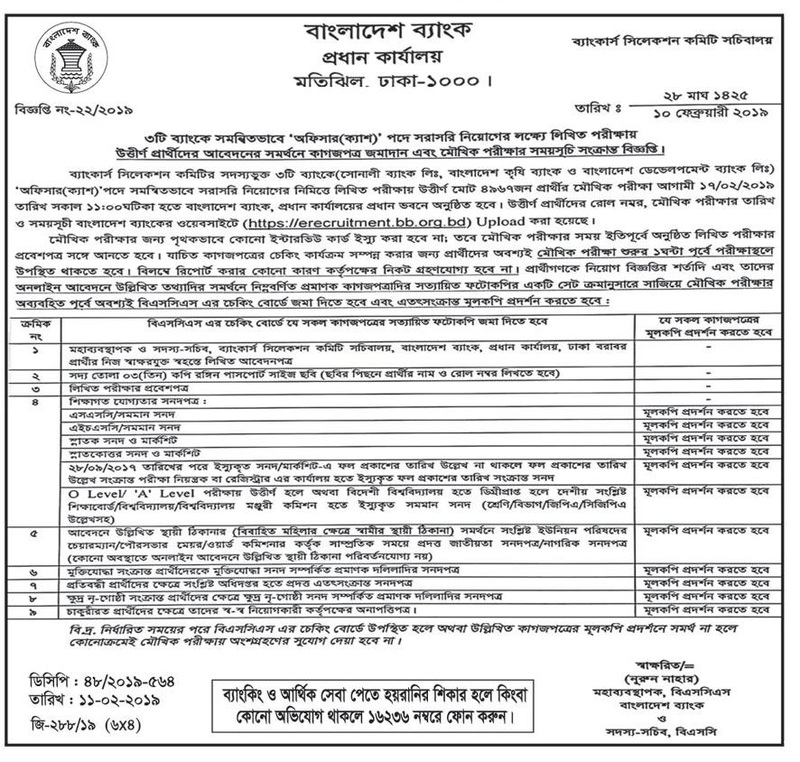 If You want to more jobs circular exam result to visit our website in regularly, BD Jobs Careers have been providing all type job exam results and schedule also latest job circular news and result, including government jobs circular, private jobs news international jobs information, all bank jobs circular update, public exam result and many more. We believe that our publish job information help the people who is finding jobs. We also share livelihood resources which help to build your career through the sharing tips and tricks. Our main target helps the jobless or who are finding another good job. Connect with us for getting more careers updated. This entry was posted in Bank Job, Bank Jobs Result, Career Tips, Ittefaq Newspaper by Shium Mahmud. Bookmark the permalink.